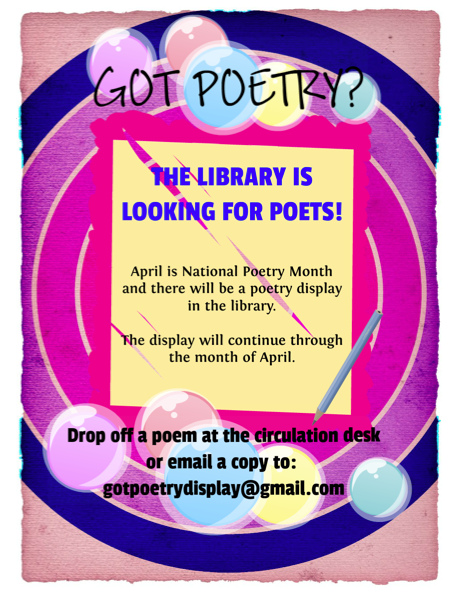 Share your poems with the library! We are working on creating a poetry display. During April, the library will host a poetry reading with live music! See Miss Mandy to sign up.